The latest brain science on how humans can develop new practices offers an opportunity to reimagine how we engage in evaluative thinking capacity building. This is early-stage thinking, but I am excited about what it may mean for our work. As I shared in an earlier post, one of the benefits of the Luminare Group team is that each person is adding new insights and perspectives to how we conceptualize and deliver our services. I want to thank Cristy for planting this seed. We were talking about ways to build her evaluative thinking skills, which are a core element of our strategy formation and planning work. What a great question! It has me rethinking how our evaluative thinking capacity building services might evolve and how, in their new configuration, they might change the brains of our clients, moving beyond individual competency and organizational capacity. Plasticity In Neural Networks - This is a brief overview of how we can rewire our brains to develop new habits. Neuroscience Insights A bit about the neuroscience of how habits form—and how to use that knowledge to replace bad habits with positive ones. 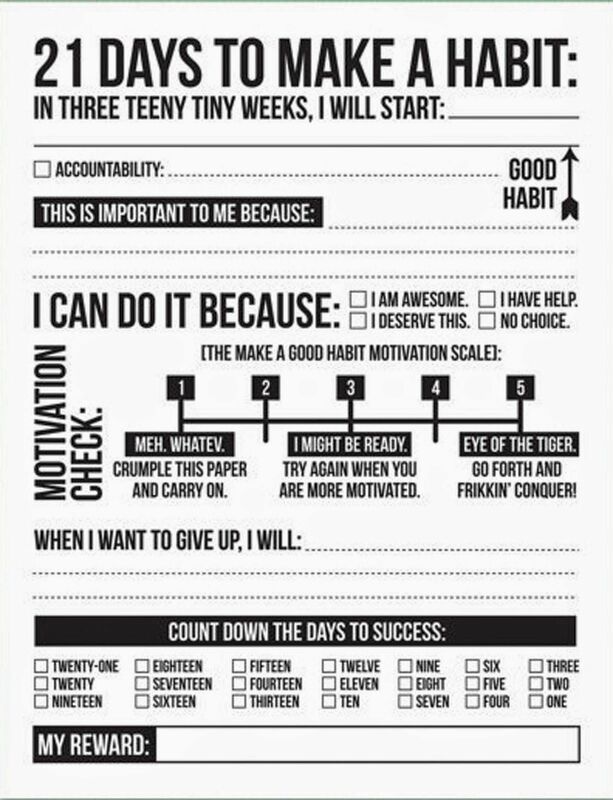 21 Days to Make a Habit - Here's a visual checklist you can use to help build a habit over the course of three weeks.